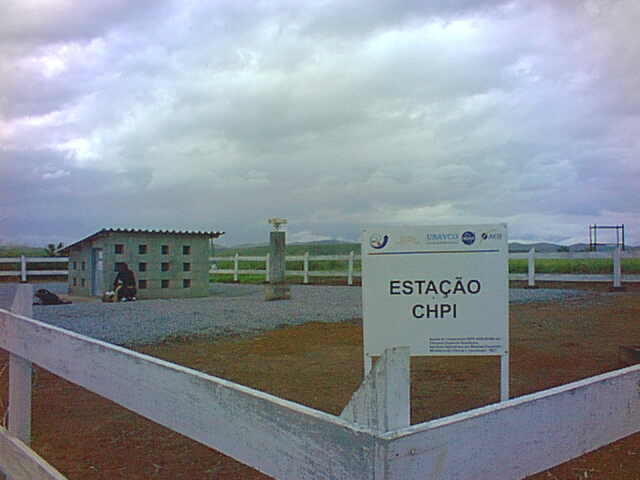 The Permanent IGS Station in Cachoeira, Paulista, SP, Brazil, (CHPI) is operated by The National Institute for Space Research (INPE), the Jet Propulsion Laboratory (JPL) / NASA and UNAVCO. A site maintenance visit was carried out in May of 2003, upgrading the GPS equipment to a new Ashtech Z-Reference station receiver and chokering antenna. A meterological package measuring temperature, pressure, and humidity was also installed. A new computer running Red Hat LINUX 7.3 with automated data offloading software has also been installed at the INPE main campus. The computer has two external modems, one that dials up the GPS station in order to transfer the data to the computer, and one that dials the Internet Service Provider. The dial-up ISP is used to transfer the data files back to the UNAVCO Facility for archiving, and to upload the data files to an ftp server for local INPE users.